Does Green Tea Have Any Benefits For Your Hair? Green tea has advantages for the hair too. Its healthy constituents, especially the antioxidants, improve scalp health and consequently strengthen hair. The tea might even prevent male pattern baldness. Green tea inhibits the growth of DHT (Dihydrotestosterone), which hinders hair growth and causes hair fall. The components of green tea react with testosterone, making sure that the amount of testosterone in the blood remains balanced so that it does not react with 5-alpha reductase and convert to DHT. Due to its antiseptic properties, it also helps in preventing and curing common hair problems such as dandruff and psoriasis. It achieves this by reducing inflammation. 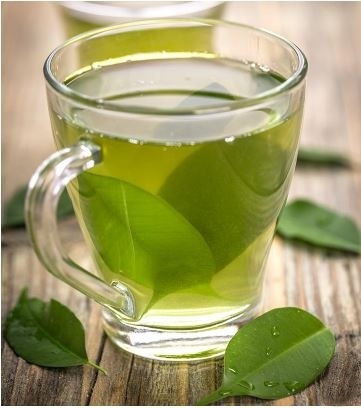 Green tea is also known to stimulate hair growth and soften the hair. Hence, it might also prevent male pattern baldness. It contains polyphenols and vitamins E and C, which are known to promote lustrous hair. You can easily make a green tea rinse at home by 2 teaspoons of strained fresh green tea in half a liter of water and using this as the last rinse after you have shampooed and conditioned your hair. This entry was posted in Green Tea Health Benefits, Green Tea Remedies, Health Advice, Health Information and tagged 5-alpha reductase, baldness, dandruff, DHT (Dihydrotestosterone), Hair Growth, hair thinning, psoriasis. Bookmark the permalink.